This is a copy of Kelley Herring's Advertorial. It may not be for all my foreign readers whose bread and grain is still quite healthful and nutritious. I include this for us particularly in the UK Europe and America. High insulin levels promote the storage of “visceral” belly fat, which surrounds your organs and sends metabolic messages that promote disease. And it’s the specific TYPE of carbs in bread that are to blame. 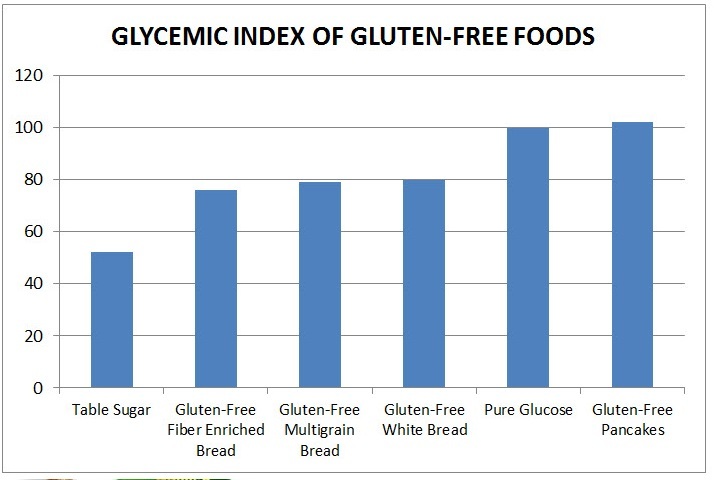 This is why wheat spikes your blood sugar higher than almost all foods – even when the same number of carbohydrates is consumed! One of these is wheat germ agglutinin (WGA). 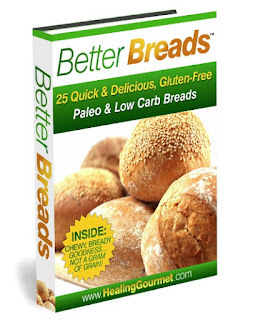 kelley herring better breadsMy name is Kelley Herring and I’m the founder of Healing Gourmet®, the world’s leading provider of organic, sustainable recipes and meal plans for health and weight loss. I’m also the author of more than a dozen books and e-books, including a four-book series, published by McGraw-Hill, on the power of foods and nutrients to promote health and protect against disease. My background is in nutritional biochemistry. I’ve spent a lot of time in the library… and the laboratory. I have also been diagnosed with non-celiac gluten sensitivity. So I have personal motivations for solving this dietary dilemma. A few years ago, I wrote an e-book called, Guilt-Free Desserts where I showed how to use the latest functional ingredients and metabolic power foods to create delicious (and healthy) gluten-free and low-glycemic desserts. Thousands of people from dozens of countries purchased that book and told me how grateful they are to be able to enjoy these foods again, without concern for their health. It seems that people have the hardest time giving up bread. And if they have, they truly miss the enjoyment of a burger on a bun… a crusty piece of French bread with garlic and oil… or even the simple pleasure of melted butter on warm toast. I missed those simple pleasures too. But there was no guidebook anywhere (until now) for creating truly delicious bread – not some weak imitation – that is both gluten free AND low glycemic. Many of the things we love most about bread are because of gluten. It helps create that crusty-on-the-outside, chewy-on-the-inside texture. It helps bread to rise. It makes pizza dough stretchy and chewy. And it provides stability and structure to baked goods. Baking is a science. And baking with gluten-free, low-glycemic ingredients is an EXACT science. You can’t simply substitute grain-free flour for regular flour and expect it to “magically” achieve the characteristics you love about bread. Replacing wheat flour in a bread recipe is a LOT harder than replacing sugar in a dessert. My goal was to create breads so good they could be served in a restaurant. 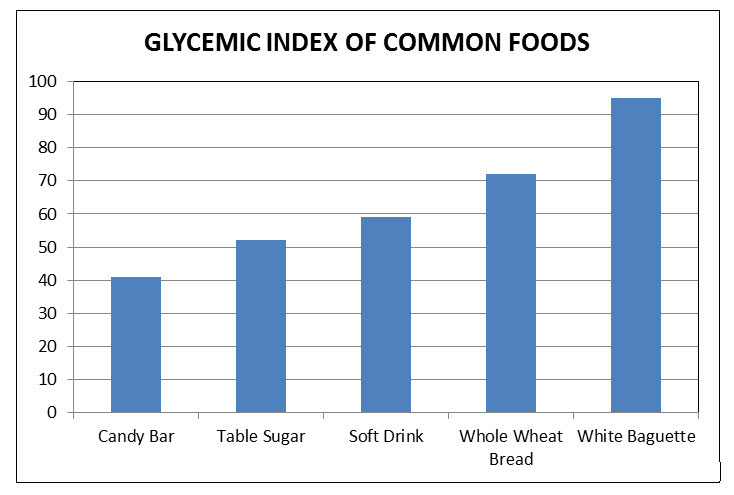 And the final product had to be low-glycemic – no blood sugar spikes. I would only be satisfied if the recipes were fast and easy to make. And because we all have unique taste preferences, allergies and dietary needs, I wanted to make it simple to make ingredient substitutions whenever possible. To do all of this, I knew I was going to have to reinvent the rules of baking. Definitely Made it Easy for You! I wish that all I had to do was take a few classic bread recipes and tweak the ingredients to make good-for-you versions of your favorites. It took a LOT more work than that. To create each recipe, I tested numerous variations – each time, swapping ingredients, changing the amounts and ratios, trying different preparation methods, cooking times and temperature. You wouldn’t believe the difference one small variation can make. Every formula was carefully examined in terms of taste, texture, rise, crumb, ease of preparation – and most important – how close it was to the classic original. In some cases, it took more than a dozen formulations of a single recipe until I was satisfied with the outcome. There were some weeks when I would work on just ONE recipe. Sometimes I just wanted to collapse in a heap and cry. Okay, I really did that once – just ask my husband. to Make these Recipes Foolproof? Because I know the feeling of failure and frustration when you have to throw away a recipe that flops – or even worse – have to eat something that tastes terrible, because you don’t want your time and money to be wasted. I went through the learning curve and made the mistakes so you don’t have to. In fact, even after I had nailed a formula, I tested and then retested the final version to make sure the results were reliably foolproof… and tasted reliably great! Most of the recipes I created can be made in just 15 minutes hands-on time, with little more than a mixing bowl and a spoon. Then just pop the dough into the oven. About an hour later, gorgeous golden loaves will emerge… ready to slather with butter or pile on your favorite meats for a superfood sandwich! After months of testing and hundreds of trials, we’re happy to announce that we have finally “cracked the code” on making gluten-free, low-glycemic bread that tastes so good, you’ll never look back. Our reinvention of this all-American staple has everything you want – and nothing you don’t – when it comes to your health. You can’t expect these benefits from most other gluten-free bread recipes. Their super-high starch content will send your insulin levels soaring. And if you’ve been buying gluten-free bread at the store, you’ll be amazed how much better these fresh-baked breads taste… and you’ll NEVER have to worry about artificial ingredients, dough conditioners, unhealthy fats, or chemical preservatives. And you will enjoy all this superior nutritional value for less than HALF the cost!